Learning letters and matching upper and lower case letters is a Kindergarten skill that can be tricky for some kids. 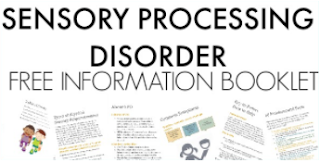 We made this easy prep letter identification activity using items you probably already have in the house. 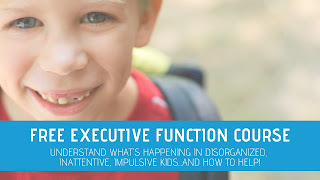 If you've seen our blog posts over the last few days, you've noticed we're on a learning theme using free (or mostly free) items you probably already have. 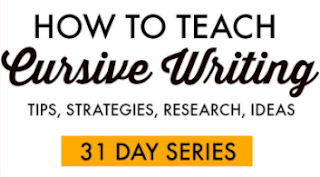 We're sharing 31 days of learning at home with free materials this month along with 25 other bloggers in the 31 days of homeschooling tips series. 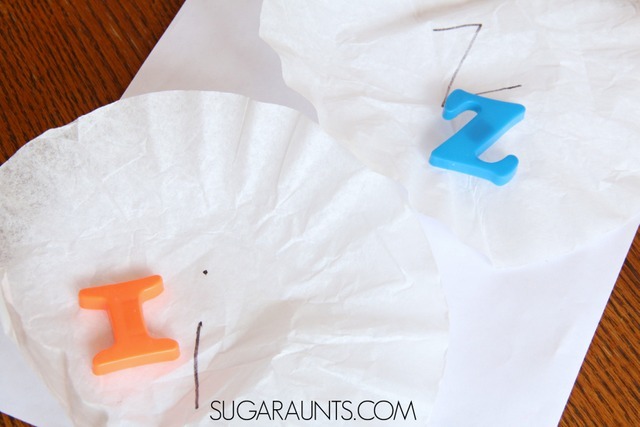 Today's easy letter learning activity can use any letters you have around the house or magnetic letters and coffee filters. While this activity is almost free if you've got the items at home already, we're sharing the affiliate links for the items in this post. Grab the magnetic letters from the fridge and 26 coffee filters . 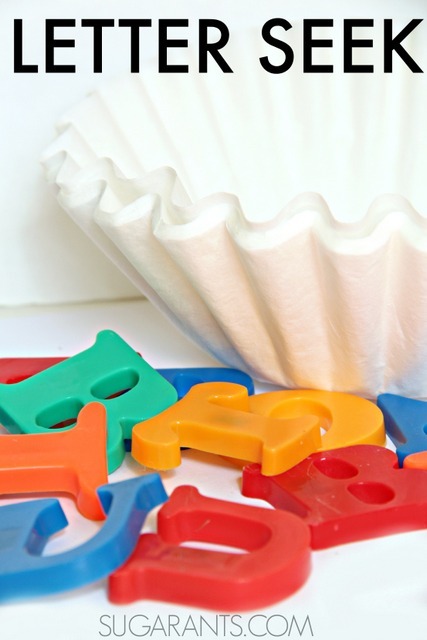 Use a permanent marker to write one lower case letter of the alphabet on each coffee filter. With your child, first match up each lower case coffee filter letter to the upper case magnetic letter. You can spread the filters out to encourage visual scanning and involve movement in the activity, OR you can stack the coffee filters in a pile and one by one match up the letters. This technique requires the child to visually scan for the upper case magnet letters. 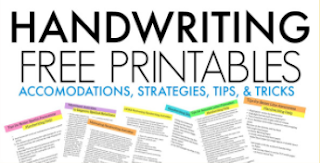 Try both ways for more upper/lower case letter practice! 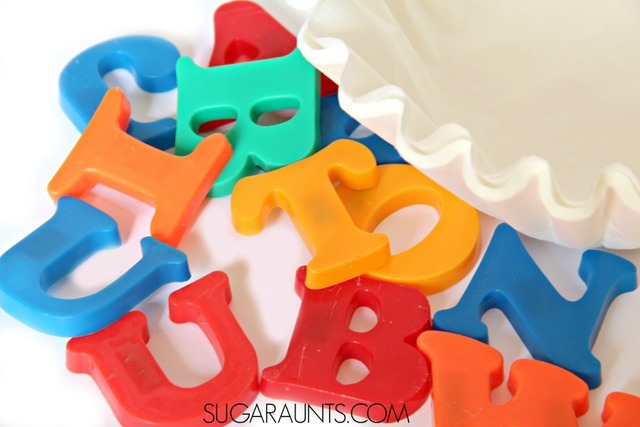 Hide the bundled up letters around the room while your child hides his eyes. Send him off to find the letters and ask him to open the bundle and identify the letter. Toss the coffee filter bundles into a bucket or bin. Any letters that make it into the bin are winners! Unwrap the bundles and name the letters. 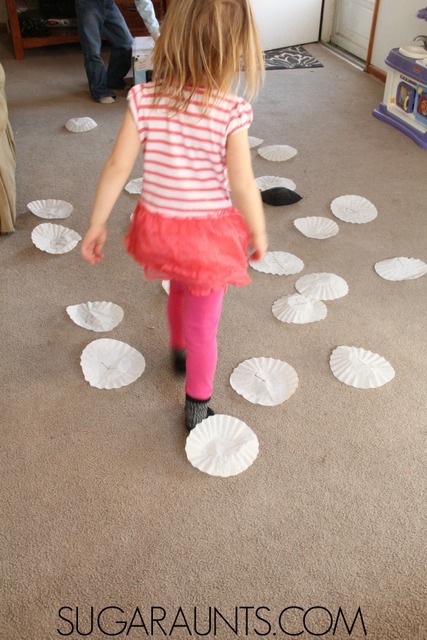 Spread the coffee filters out around the room. Toss magnetic letters onto the matching lower case letter. Toss a bean bag onto the coffee filters. The child can identify the lower case letter, then go to the pile of magnetic letters and find the matching upper case letter. Can you think of any more ways to work on upper and lower case letter matching with coffee filters and magnetic letters? Let us know on Facebook. You can follow our Alphabet Play Pinterest board for more upper and lower case letter matching ideas.